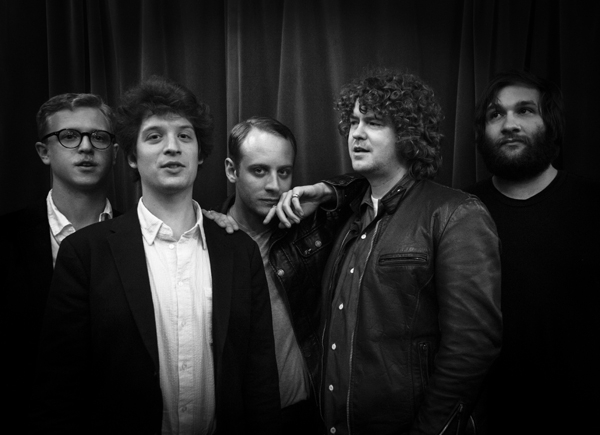 Deer Tick has made significant progress since releasing their debut album War Elephant back in 2007. Certainly, that scrappy album had some great songs and showed a lot of promise, but the group’s process of maturity has not only seen them writing increasingly stronger songs, but also come with a recording budget to do them proper justice. “The Dream’s In The Ditch” is another worthy offering from the Rhode Island alt rockers, a crisply produced and splendidly arranged pop tune overflowing with gorgeous guitar licks, twinkles of piano and a touch of glockenspiel. And while the lyrics get mired in some bummed-out feelings (it is called “The Dream’s In The Ditch,” after all), one can’t help walking away from this one feeling pretty good. Click here to listen to “The Rock,” another track from Negativity.